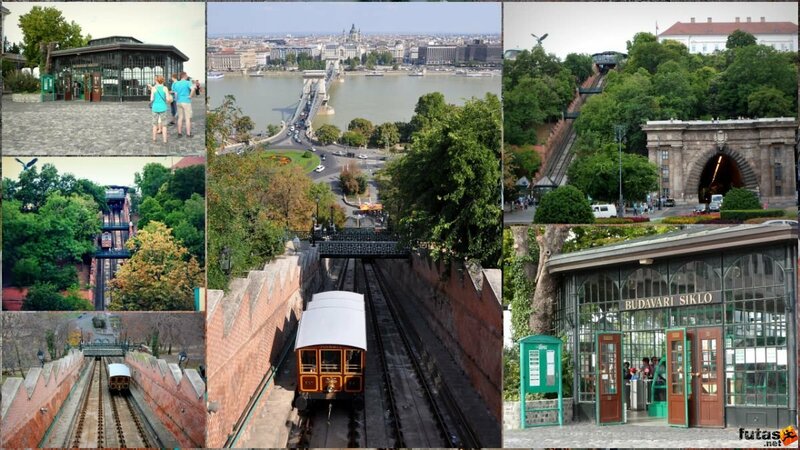 Budapest has beside great infrastrucure, many unusual means of transport which makes your journey special. It was constructed in 1896 as Hungary had its 1000 year anniversary. It was the first metro on the continent of Europe. The first one was build in Europe in London in 1863, but London is not on the continent. 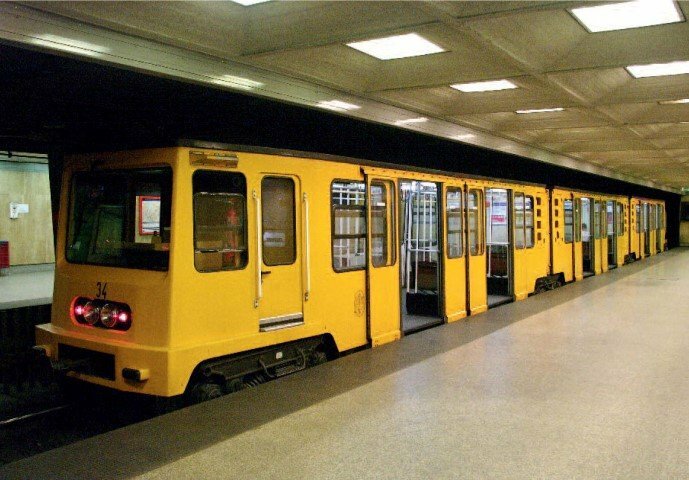 The German company Siemens wanted to built a metro in Berlin, but the plan was rejected there, so they built the the metro line first here in Budapest. It has been renovated in 1996 as it was in a very bad state. Also nowadays you can see the ceramic decorations on the walls at every stations, leading from the pedestrian street Váci Street leading under the most famous Andrássy Street to the Heroes Square. Here was the terminal in 1896. Budapest wanted to transport the tourists from the down town area to the World Exhibition in the City Park behind the Heroes Square. Later we built 2 more stations, the next one is at the most famous Széchényi Bath but we are sorry to say that theese 2 stations are modern. It was constructed in 1870. It was the first public means of transport to the castle area and the world’s second funicular. The first one was built in Salzburg Castle in Austria. It links the Adam Clark Square and the Széchenyi Chain Bridge at river level to Buda Castle above. It was destroyed during the Second World War and reopened on June 4, 1986. A feature of the line are the two pedestrian foot bridges which cross above it. These were present as the line opene and were removed in 1900 as the garden of the castle was extended and rebuilt to the original design in 1983. 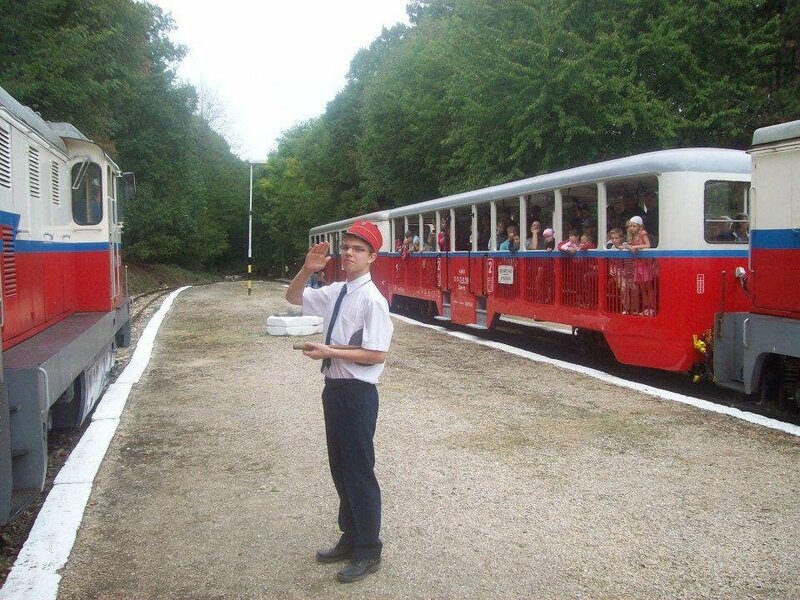 In 1947, the Hungarian State Railways (MÁV) company decided that a railway operated by children would be built. Children sell the tickets, and they check your ticket in the train but they give also the sign for the engine driver, but of course the train is driven by adults. It is and it was every time a privilege of the best pupils from the elementary school to be to work for the children railway. The State Railways wanted to learn children about the life of railway and want to resupply the retired workers. The former name of the line was Úttörővasút (Pioneer Railway, in reference to the communist scouts). The construction started on April 11, 1948. The line is from Széchényi Hill to Hűvösvölgy, it is 12 km long. There are open trains for summer and normal ones for winter. During the Hungarian Revolution of 1956 the railway was closed, but was not damaged. It reopened on 3 February 1957. A museum at Hűvösvölgy station displays some items from the Communist period. It does not operate on Mondays. At Christmas there is also the Santa Claus on the train who gives candies to the children. The Chairlift was built in 1970. The cable-railway connects Zugliget and János Hill in the 12th district of Budapest. This district is one of the most expensive area in Budapest, on the Buda and hilly side of Budapest. There is a breathtaking view to the city with the River Danube. 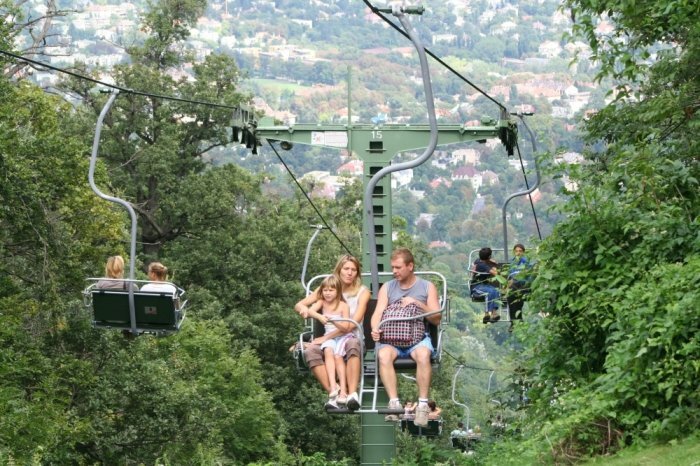 The line of the Chairlift is 1040 m long; the level difference is 262 m between the 2 stations. The journey time is 15 minutes in both directions. It is really very funny to sit and travel above houses and looking into gardens. Although it is not a means of transport, but it is worth mentioning the Budapest Eye. It offers fantastic views over Budapest by day and night. 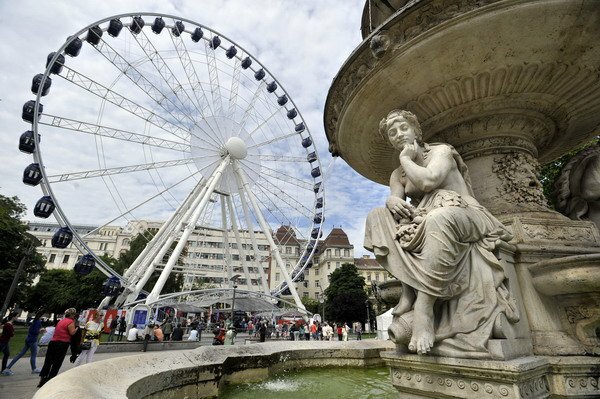 Standing 65 meters tall, the wheel with its 42 cars is the largest mobile Ferris wheel of Europe . It has a capacity of 332 people and at night it will light up the evening sky with over 10,000 colored lights. Budapest Eye (officially known as Sziget Eye, promoting the famous Sziget Festival) it is open from middle of March until end of September every year. Tickets are ca. 8 € for adults and 5 € for kids. Opening hours are 10 am to midnight from Sunday through Thurdsay and 10 am to 2 am on Fridays and Saturdays.